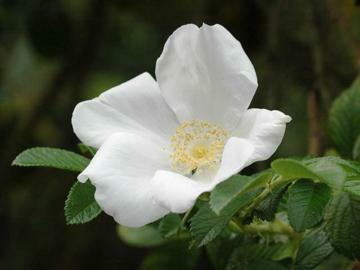 Cupped, single white flowers about 9cm across, opening from pale pink buds from summer to autumn. Vigorous, dense habit with very prickly stems and wrinkled leaves. Large, rounded, orange-red hips follow. 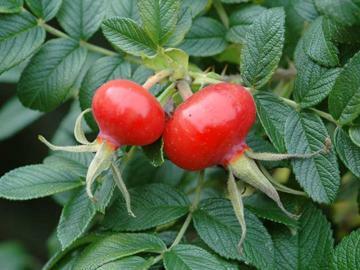 Best in fertile, moist, well drained soil in an open sunny position but tolerant of a range of conditions. Thrives in coastal locations.